The Minuteman » Government » Can We Start Ridiculing TSA Agents Publicly Yet? Tagged Abuse of Power, Blue Gloved Gropers, Congress, Congress Critters, Constitutional Republic, Hands of Blue, Lack of Accountability, Laws For Thee Not For Me, Laws Gone Wild, PSH, Rule of Law, Tyranny, Tyrant. Bookmark the permalink. 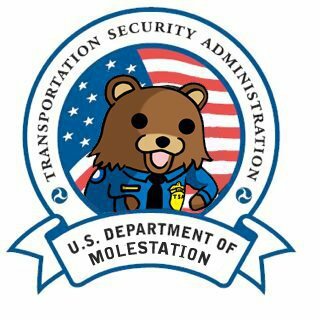 One Response to Can We Start Ridiculing TSA Agents Publicly Yet?